When I moved to Colorado, I thought I was prepared for the weather, the lifestyle and the seasons. But I had no idea what I was getting into. I learned how to carry at least two extra layers with me at all times due to the fluctuating temperatures; I figured out (eventually) what I should and should not take backpacking. But it wasn’t until I experienced my first autumn that I realized the depths of my ignorance. Fall in Colorado is a blink-and-you-miss-it season that lasts two weeks, if you’re lucky. The changing of the aspen leaves from green to gold is one of the most beautiful transitions in nature; it’s also one of the most difficult to plan for. While September is prime leaf-peeping season, you can’t predict when the leaves will change — but you can choose your travel dates and simply follow the foliage. Locals and visitors alike make the pilgrimage, crowding some of the most popular spots like Trail Ridge Road in Rocky Mountain National Park, and the Peak-to-Peak Highway from Black Hawk to Estes Park. For a more peaceful experience, here are some of my favorite foliage-viewing places located away from the fray. I started my Colorado life in Breckenridge, and the town will always have a special place in my heart — especially during the fall. 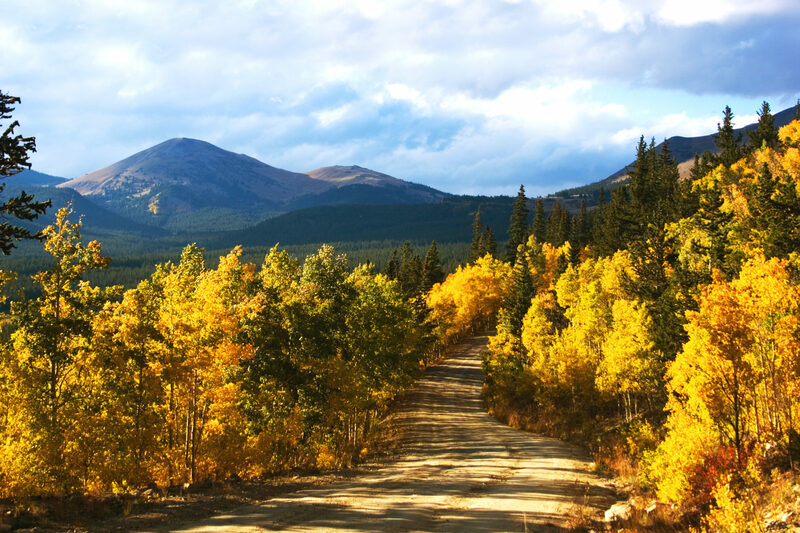 Breckenridge boasts plenty of trails leading into the heart of the color, but the winner is Boreas Pass. You can drive along the road, but I recommend parking at the trailhead and walking. The aspens form a tunnel of gold, making you feel as though you’re strolling through a fairy tale. Know what else is gold? Bourbon. While in Breckenridge, be sure to stop by the Breckenridge Distillery for a tour, a sample of its award-winning spirits or dinner at its new restaurant. 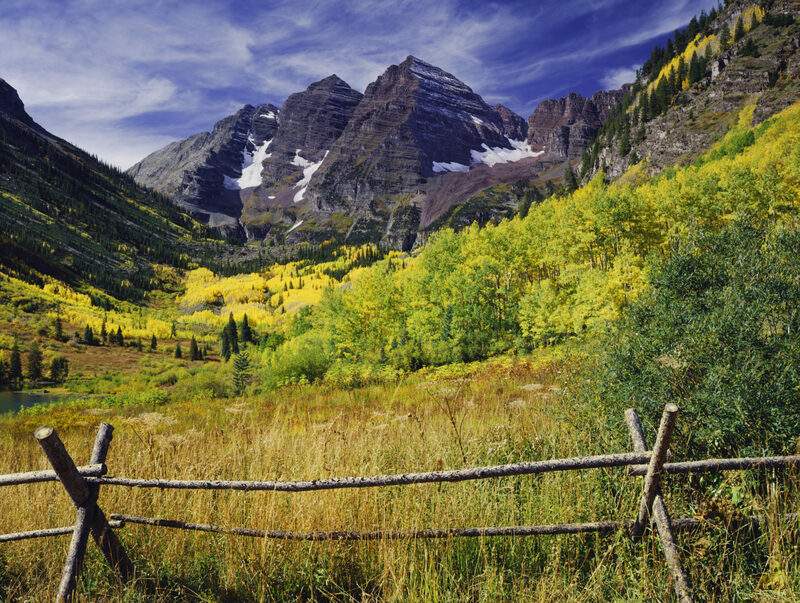 You can’t talk about fall colors in Colorado without mentioning Aspen. When the town’s namesake trees take on their golden hue, head to one of two iconic locations. 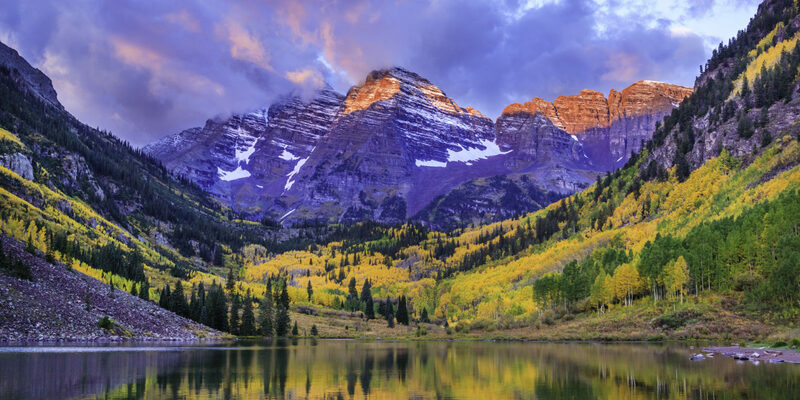 Take a bus up to Maroon Bells, where you’ll be able to see the glorious colors of the peaks and the leaves reflected in the lake. Or, if you prefer a scenic drive, opt to explore Independence Pass. It’s one of the most stunning routes in the state during the summer, but it’s even more special in the fall. 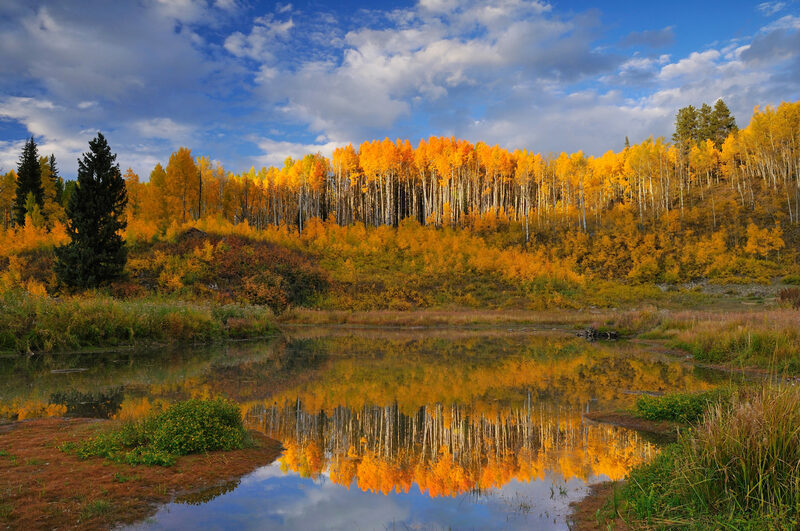 Colorado’s largest aspen grove is located on Kebler Pass, near Crested Butte. The area turns into a magnificent sea of gold in the fall. And you’ll discover many ways to appreciate the landscape, from world-class mountain biking to excellent hiking trails. If you insist on remaining in your car, the West Elk Loop provides an entire day of scenic drives. There is no shortage of spectacular views in the Valley. I love catching the fall color in Vail — whether I ride the gondola up to the top of the mountain and hike down, trek through the trees to Booth Creek Falls or participate in the annual 5K and 10K race in September. 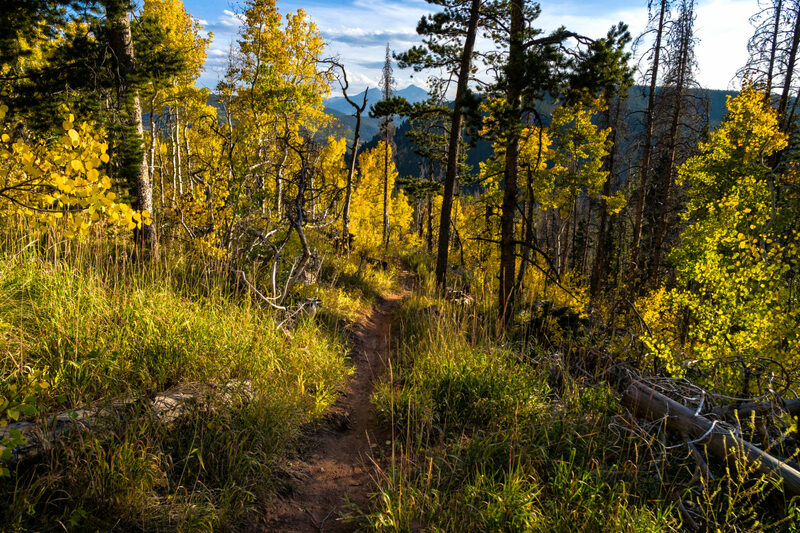 Or you can create your own trail run through the aspens and enjoy breathtaking experience running at more than 8,000 feet above sea level. Katie C. is a journalist living in Denver.